There’s no such thing as a typical day in Matt Rawling’s job. By night he is a support worker at The Salvation Army’s Drug and Alcohol residential centre in Dunedin, and by day he ensures the smooth running of the organisation’s Bridge programme. Matt gets to work alongside his clients all the way through their recovery journey in his dual role as administrator/support worker. “At the Residence you can wear many different hats, be that a Mum, Dad, a mentor and a support worker,” he says of his night role at the Cargill Street residential centre. His day job includes working with clients who are taking part of the residential recovery programme and coordinating with many outside agencies and service providers. That could involve helping them fill out forms or apply for assistance to cover the cost of rent, loans or mortgage while they focus on recovering from their drug and alcohol addictions. “It’s all about trying to take some of the stress from the client so they can focus on getting better,” Matt says. Matt has been with the Salvation Army for over eight years and now through a workplace-based training programme he can gain a nationally recognised qualification for the work he loves doing every day. 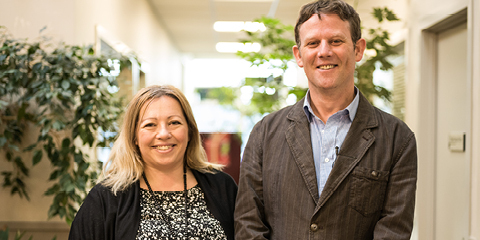 Along with six of his colleagues, Matt is studying the New Zealand Apprenticeship in Mental Health and Addiction Support, facilitated by the Industry Training Organisation, Careerforce. Matt is one of over 100 Mental Health and Addiction Support Apprentices across New Zealand studying the Careerforce qualification. He says addiction doesn’t discriminate and the recovery programmes host a wide range of people from all walks of life. “Our clients are here because addiction has taken hold of their life, be that alcohol or other substances, and they have reached out and asked for help,” Matt says. “And that’s a huge thing. As humans, we are not good at asking for help, so that’s the first step and its very brave as they are saying they can’t do it anymore. Are you interested in a career in Mental Health and Addiction Support? Check out more Careerforce qualifications here.